The women of King's Church got together with ladies from other churches for an ExtraOrdinary day on Saturday 4th February; and now the talks are available here for anyone to enjoy! With Liz Holden, Hannah Silley and Melinda Sopp sharing and teaching, these ExtraOrdinary talks are full of encouragement in how we persevere in our relationship with God and reach others for Him, no matter the season we're in. In the first of the three talks from the ExtraOrdinary Women's Day, Liz Holden speaks on knowing the transformative power of the gospel in everyday living. In the second session of the ExtraOrdinary Women's Day, Melinda Sopp spoke on finding joy and contentment in the midst of everyday challenges and disappointments. 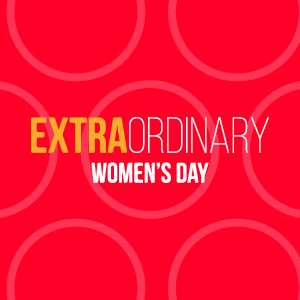 Hear Hannah Silley close the ExtraOrdinary Women's Day with her talk on stepping into the grace-filled adventure of everyday `normal'.